It's with great pleasure that I call your attention to a new organization called Citizens for Alternatives to Animal Research (CAARE) that is dedicated to making the use of nonhuman animals (animals) for research and experimentation obsolete. Their website, a wonderful source of information, shows clearly that "It is now possible to conduct a vast array of experiments without using animals and derive results that are faster, cheaper and more relevant to human medicine." We encourage a shift to modern scientific technologies that do not use animals. Technological advances have ushered in a new era in science, one which has only begun to scratch the surface of what can be accomplished. Its full potential can never be realized as long as there is a continuing dependence on animal models. 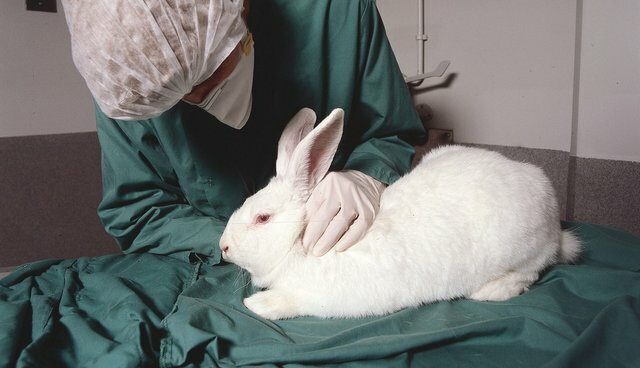 Multiple surveys have shown that public support for animal research declines significantly when the public understands that the research is not necessary, and also when a high degree of animal suffering is demonstrated. Utilizing existing and emerging information on the growing availability and success of non-animal research technologies, along with the latest information on consciousness and sentience in animals, CAARE disseminates this information to provide the basis for questioning the use of millions of animals in research. CAARE proposes that non-animal methods be used in every possible instance. Barbara Stagno is their President and Executive Director and their board of directors and advisors include people who have been working in this area for many years. I particularly like their Statement of Non-violence in which they invite open dialogue among people who both agree and disagree with their mission. I encourage everyone who is interested in seeing the best biomedical research being performed to visit CAARE's website and to learn about what is being done to phase animals out of all types of research.